The direct drive system has been adopted. 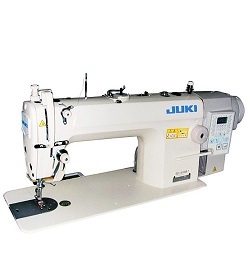 The DDL-8100B-7 is a direct drive, full-function single-needle Undertrimmer. The set-up is extremely simple, making this machine ideal for upgrading from a single-needle plain machine to an automatic.